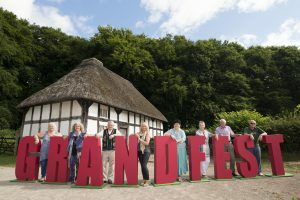 GrandFest Cymru, a festival celebrating the heritage skills of talented older people and proudly presented by charity, Royal Voluntary Service, took place in Cardiff today. 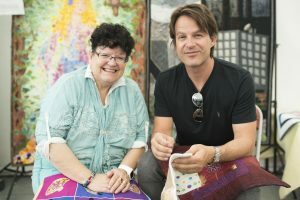 The one day, family-friendly festival took place at St Fagans National Museum of History in Cardiff with a series of free Masterclasses – from quilting, rag rugging and embroidery to bread making and international dance – hosted by the GrandMakers, all of whom are over 70. The Masterclasses were held at different times throughout the day and inspired younger generations to discover and learn new skills. The Cowbridge Male Voice Choir also performed. Royal Voluntary Service has been hosting GrandFest for three years, as a way to celebrate the many skills possessed by older people and to highlight the importance of continuing to enjoy and share these skills in later life. GrandFest has traditionally only been held in London’s famous Spitalfields area, but Royal Voluntary Service has added this Cardiff date to ensure people from all over the country get to enjoy what has fast become a popular fun family day out. The event is being supported by McCarthy & Stone, the UK’s leading retirement housebuilder who will host a series of GrandFest related celebrations at its developments across the country. Royal Voluntary Service is one of the biggest volunteer organisations in the UK, which supports thousands of older people in Wales a month. 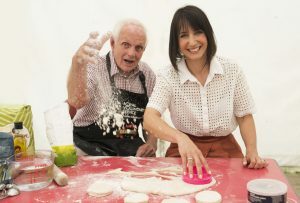 The charity runs services such as Community Champions, Lunch and Dining Clubs, Exercise and Dance Classes and Books-on-Wheels, that help older people in Wales remain independent and connected with their local community. Royal Voluntary Service also provides practical support for older people who have been in hospital through its On Ward support and Home from Hospital services and via its network of retail shops and cafes.